A few months after the frenzied reaction to the launch of "Apex Legends" by Electronic Arts Inc. (NASDAQ: EA), attention is turning to whether interest will continue in the game that EA hopes will challenge "Fortnite" for supremacy in the battle royale arena. "Call of Duty" from Activision Blizzard Inc. (NASDAQ: ATVI) is going mobile, giving the company added opportunity in the fastest-growing games segment — and likely helping boost its stock Tuesday. Morgan Stanley kept ratings on the two gaming stocks unchanged, but reminded investors of positives worth watching at both companies. Morgan Stanley’s Brian Nowak maintained an Equal-Weight rating on EA and raised the price target from $80 to $88. Nowak maintained an Overweight rating on Activision Blizzard with a $55 price target. EA drew tons of attention and investor excitement in February when it launched the multiplayer shooter game "Apex Legends," quickly hitting 50 million players and driving EA stock up as observers predicted that "Fortnite" would no longer be the only game in town. 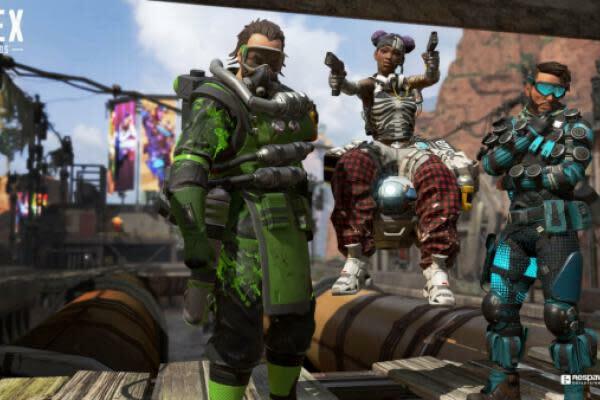 The huge number of "Apex" players in the first month; high review scores; and the arrival Tuesday of EA’s newest perceived money-making opportunity around "Apex," a season pass, led Nowak to boost the price estimate. Morgan Stanley is raising its fiscal 2020 earnings per share estimates for EA by 8 percent, with $375 million in live services revenue coming from "Apex." Nowak also reminded investors not to lose sight of EA’s legacy games in the "FIFA" and "Star Wars" franchises, which he estimates will still drive 55 percent of 2020 earnings per share. Nowak said he remains “tactically cautious” because of volatility in the stock price and has questions about long-term continued success. “Ultimately, the game's ability to drive sustained engagement is still unproven, despite early success, and we expect the topic to remain a battleground until the financial impact is more visible." The launch of "Call of Duty" mobile is important to ATVI as it tries to capitalize on its leading position in intellectual property in the growing free and mobile gaming markets, Nowak said. Mobile gaming, at $85 billion, is the largest and fastest growing category in the gaming space, the analyst said. If a "Call of Duty" mobile franchise brings in $500 million in revenue, it would add about 9 percent to 2020 earnings per share for ATVI and could bring new users to the franchise, Nowak said. “A successful "Call of Duty" mobile franchise would help to offset bearish investor concerns that "CoD" is a franchise set to be in terminal decline." Electronic Arts shares were down 2.16 percent at $97.51 at the close Tuesday, while Activision shares were 3.22-percent higher at $46.42. "Apex Legends" photo courtesy of Electronic Arts.